Many of the first Youtubers and bloggers that I learned from at the start of my foray into beauty were Asian and unsurprisingly they featured Asian cosmetics brands from time to time. I lusted after brands like Kate, Majolica Majorca, Visee and others but it was difficult to get a hold of these elusive products without the help of the internet or a friend from abroad. 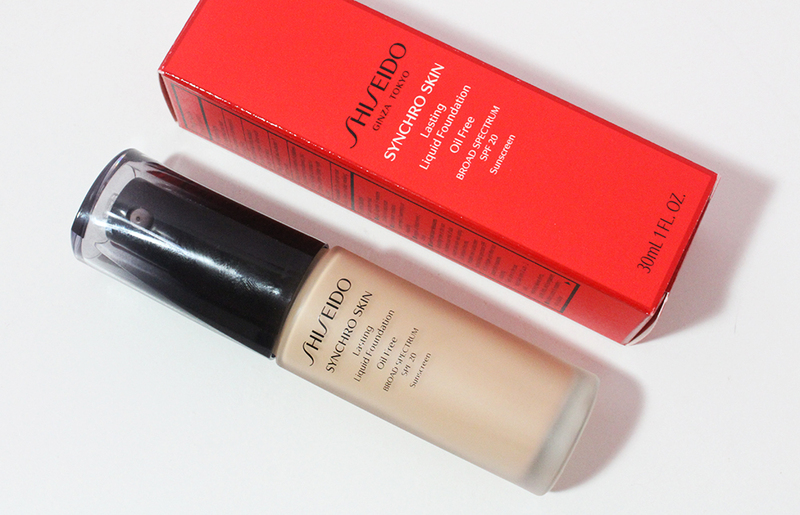 So I waited and waited and eventually my fascination with Asian makeup subsided a bit in favor of brands I could easily find at Sephora or boutiques around New York. Thus I made it a mission to scour Asia for makeup products that I have been waiting to buy for literally years! Kate is a Japanese drugstore brand that can be found throughout Malaysia, Singapore and Hong Kong but comes with a somewhat hefty price tag. Makeup is not cheap in Malaysia or Singapore at all (Hong Kong fares a bit better), even if the brands are from the drugstore. 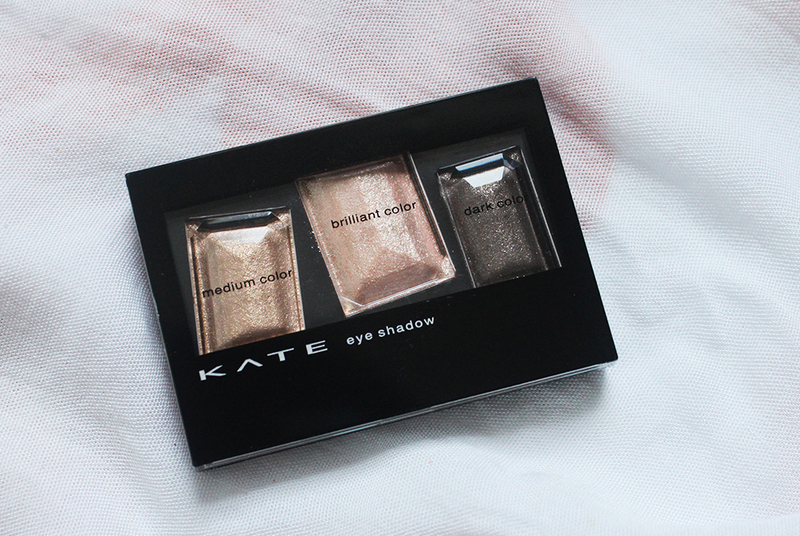 I picked up the Kate Shiny Eyes trio in a department store called John Little in Singapore. The palette retails for 23.50 SGD but John Little was offering 20% off all cosmetics so I paid 18.80 SGD ($14.65). Kanebo (the parent company of Kate) sells the trios for $23 (shipping not included) on Amazon but Adam Beauty has the best price of 90 HKD ($11.60). I should I have done more research before making my purchase but at least I didn't have to wait for shipping nor deal with the anxiety of having packages shipped from across the globe. There is 3.2 grams of product in total but it seems like the middle shade has a bigger pan than the other shades so I am not sure how much each individual shadow weighs. 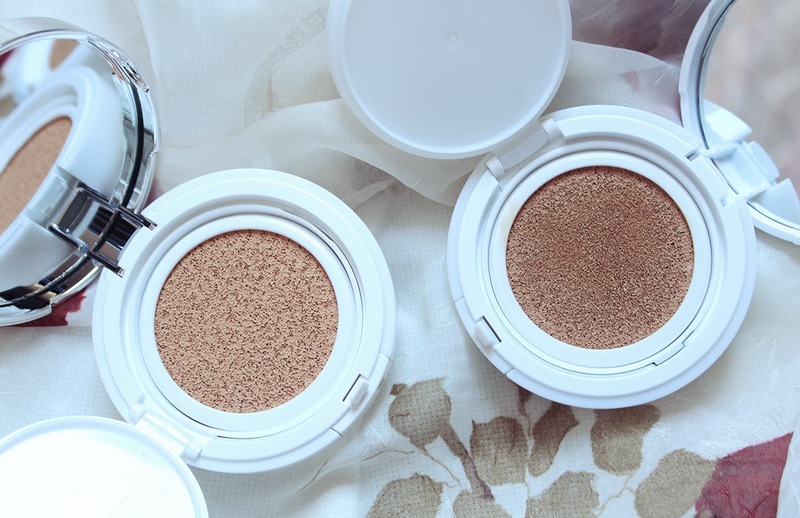 Asian eyeshadows are typically very luminous and shimmery. Mattes are not very popular in Asian cosmetics while glitter is not uncommon. I think the popularity of shimmery finishes has something to do with the flatness of Asian faces and the desire to bring out the features using iridescent colors. Color schemes are often very neutral and wearable in Asian palettes as well. I chose BR-1 because I could see myself wearing all three colors everyday. The first shade is a tan brown shade with fine shimmers and a smooth texture. The middle shade is a glittery pale pink that has a bit of fall out but nothing a few taps of a brush can't fix. The right most shade is a very deep brown with gold flecks of sparkle. 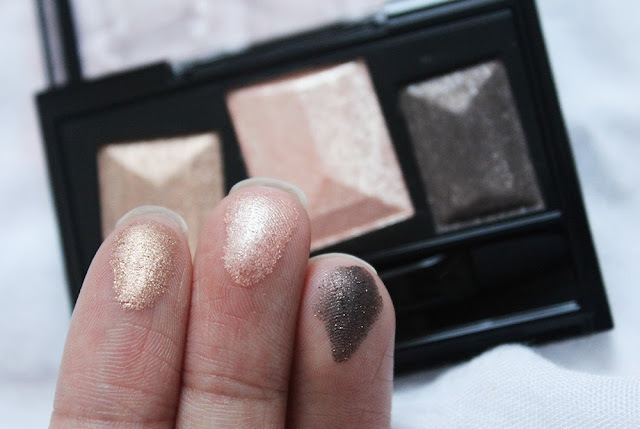 All three shades are buttery and pigmented when swatched. I like to use the tan shade all over the lid, the pale pink in the inner corner and the darkest shade as liner. Wetting a liner brush and dipping it into the darkest color produces a very nice liner. I prefer to add a matte brown shadow in the outer corner and slightly in the crease to offset all the shimmer. The Kate Shiny Eyes will not be everyone's cup of tea, especially not in the US market, due to the super shimmery finish of every shade. The quality of these shadows is good if you don't mind tapping off your brush to get rid of glitter particles. The price is a bit high compared to drugstore products in the states but it's comparable to the prices of cosmetics in Asia. While I'm not rushing out to haul all the colors in this range, I can definitely see myself using the BR-1 palette quite a lot and am happy to have finally added a Kate product to my collection!